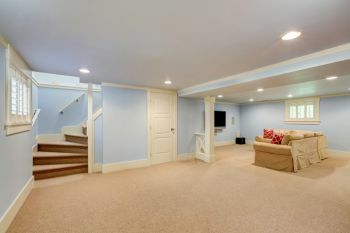 An average basement is roughly 1,000 sq ft of brilliant potential that should not sit empty or unused! There are so many benefits to a renovated basement. A strong foundation is required for basement renovations, free of mold and moisture. By renovating your basement, you're improving the quality of your home. Not only does this protect your biggest investment, but you're also strengthening your home's foundation. Finished basements offer energy efficiency as well as improved ventilation. For over 6 years, Picture Perfect Handyman has been providing homeowners with beautifully renovated basements to enhance the value of their home's and create the living space they're looking to achieve. Whether you're outgrowing your current living space or looking to expand for entertaining purposes, Picture Perfect Handyman will work with you to ensure the basement of your dreams is created! By calling Picture Perfect Handyman to renovate your basement, you're increasing your property's value by giving your home more usable space. Instead of hiring an expensive contractor, call the experienced handymen at (661) 457-5991 for a FREE quote!